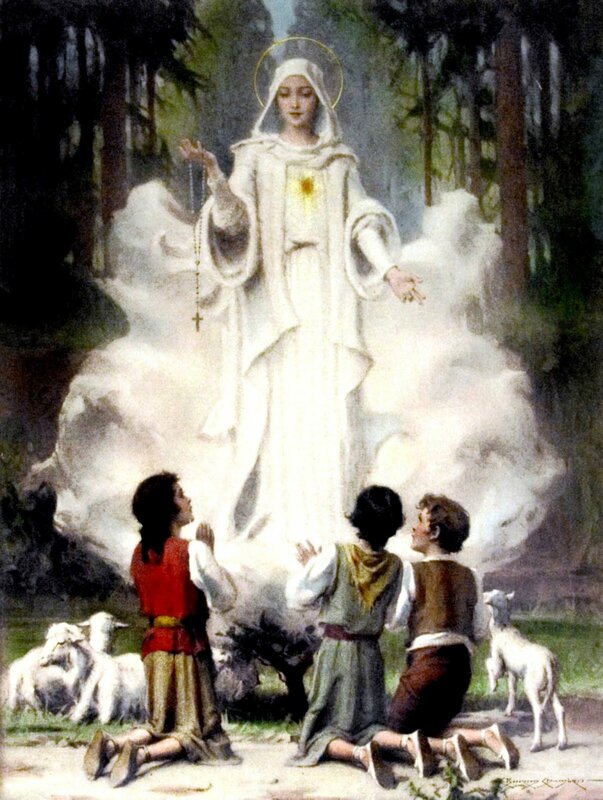 A reminder that the first of our Family Catechism Days with Fatima Devotions takes place this Saturday 3 February at Christ the King, starting with Rosary at 10 am and Mass at 11 am. Fr James Mawdsley, FSSP, will say the Mass and lead catechism sessions for children, teenagers and adults in the afternoon. All you need to bring is a packed lunch; tea and coffee will be provided. Then on Sunday 4 February, the 8.30 am Mass will be sung for the first time. We hope this will become a regular event on the first Sunday of each month. Practices for this will be held as part of the First Saturdays and also on the third Saturday of each month in church at 2.30 pm. Looking forward to seeing you at Christ the King this weekend! Regina Caeli – Classical Education in the Catholic Tradition coming to Bedford! Due to interest from local families, founders of the Regina Caeli academy will be coming to give a talk on 21st April in Bedford, with a view to opening a satellite programme in one or more UK locations, if there is sufficient demand. Regina Caeli is a private, independent tutoring centre operating in the Catholic tradition. They offer classes that meet twice a week to boys and girls aged 4-18, and have grown rapidly since their launch in 2003, now operating in 14 locations in the United States. Regina Caeli is a response to the need for affordable, authentic, classical education taught in light of the Catholic tradition. Kari Beckman, one of the founders of Regina Caeli, and Erika Ahern, the Director of Education, will give a talk in Bedford on Saturday 21st April about the hybrid academy and answer any questions that families might have. Please spread the word and, if you have children of school age and live within reach of Bedford, do come along and hear what they have to say! You can book tickets here. The ticket costs serve as a contribution to cover the costs of Kari’s travel and accommodation. There’s an early bird rate of £25 until 10th February, when the price goes up to £35. Ladies – come and learn more about the Miraculous Relic Image of Our Lady of Guadalupe, this country’s replica of which lives in the Shrine in Bedford. A talk about Our Lady, which had been scheduled for 12 December last year, unfortunately had to be postponed. It has now been rearranged for Tuesday 16 January, the next meeting of the Ladies’ Group which has arisen from the Latin Mass at Christ the King. This meeting is open to all ladies and will take place at the group’s usual venue in Ampthill at 10.30 am. Tea and coffee will be available before the talk. Please contact the host, Grace Bozzino, on grace.escargot@gmail.com or Barbara Kay on mbky3@outlook.com for directions. Do come and bring a friend; you will be made most welcome. Epiphanytide House Blessing was a new experience for us and we were not quite sure what to expect. Fr Mawdsley arrived with a crate containing a thurible, charcoal, incense, a lighter, a bottle of holy water, a sprinkler and blessed chalk. He gave us a sheet containing the words of the blessing so we could follow and join in where appropriate. Most of this was in Latin. Having vested in surplice and stole and after an antiphon and the Magnificat, Fr Mawdsley asked me to led him round each room (including the bathrooms) with Martin, my husband, following him with the thurible. Each room, and the garden, was sprinkled three times with holy water, and incensed three times. The Pater Noster, some responses and the Collect for the day were said. The lintel of the front door was marked with blessed chalk: 20 + C + M + B + 18, standing for the century, the initials of the Three Magi, and the year, with the words: “I place the marks of their holy names over the door of this home to remain there as a constant reminder to us and to all who enter here that this house is truly a house of the Lord”. 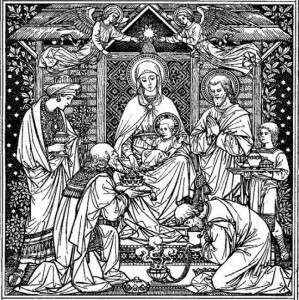 It is lovely that our house has been blessed this Epiphanytide and I would thoroughly recommend it – further home blessings are taking place on Fr Mawdsley’s next visit to Bedford on 20/21 January and there is still time to sign the sheet. Fr. James Mawdsley FSSP said the first of what we hope will be many Masses here in Bedford. He gave a very powerful homily on the Ten Commandments. This Saturday, 6th January, Fr. Mawdsley will say Mass at 11a.m. for the Epiphany, as well as confessions as part of the First Saturday devotions; 100 years after Fatima is a good time to start carrying out Our Lady’s requests! Fr. Mawdsley will also say Mass on Sunday morning at 8:30am, as usual. At both these Masses there will be a sheet where people can sign up to house blessings and chalking of the doors.